Summer is officially here! It's the time of the year to get out and sweat it out. The sun is out and there are no excuses. Besides, I feel like I have been indoors too long. This year, Spyder invites everyone to have fun and take on new challenges. 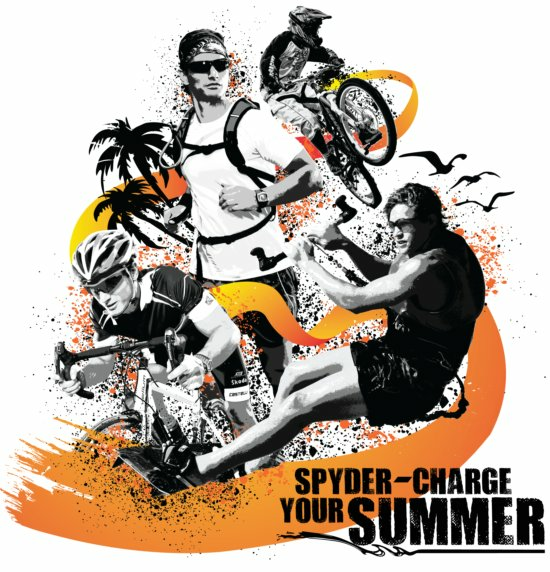 Spyer-charge your summer! 1. Get the heck out of the house! All these indoor toys can't give the same adrenaline rush as real outdoor activities. It's like a 4WD that never passed a dirt road. Something was missing - maybe it's the smell of soil and the wind hitting your face; Or the glints of sunlight shooting through the canopy of leaves in the forest. Maybe it's finally time to take that road trip to Pagudpud or conquer Mt. Halcon. You can start by jogging around your block, and then moving on to the perimeter of your village. Lace up with a pair of Skechers GOrun lightweight and flexible shoes. 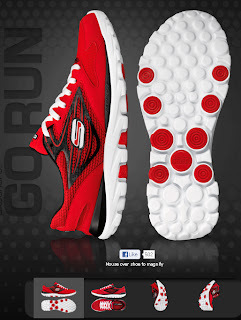 Those babies help cushion your feet from ugly impacts, especially when running off road. 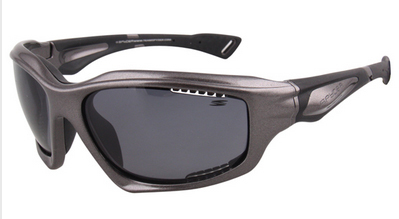 Spyder's Heat and Heyday line of shades can help shield your eyes from harmful UV rays while you're out in the sun. 2. See new places! As the tourism slogan goes, it's more fun in the Philippines! Indeed travelling is more fun with 7,000 islands to choose from! Pack your bags and choose a new destination. Always keep your options open to explore new places. Escape from the usual itinerary and take the roads less traveled. Who knows, maybe you'll forge new friendships along the way, too! 3. Experience new adventures! Being adventurous is not just about the the extreme thrills or places you see. It's also about immersing yourself into new ideas. Tired of your usual routine? Escape from the confines of the city, and what you are used to. How about a different setting for your usual routine? Getting out of your comfort zone is what it's all about! Try out a new sport, like surfing or rock climbing. How's this for a change? It doesn't stop there. It is time to eat? Check your Spyder watch! Taking a gastronomic adventure should also be part of the list! Blanched and salted fresh Sa-ang for dinner, anyone? 4. Get wet, get dirty, get tanned! In all your adventures, the most important thing is to let loose and not worry about getting mud on your bike or getting sand on your hair. Those things can always come off during clean up. Tan lines may take a bit longer to fade, but the epic adventure memories are sure to stay. Don't forget to don a pair of Spyder's Hybrid shades, the kind of eyewear that won't easily come off while you're on the move. 5. Load up on Spyder gear! Just in time for summer, Spyder cuts 10% off on all their featured products. Troop to Level 2, Carousel Court of Festival Supermall from March 26 to April 1 for the big event. Even better, you can get as much as 20% off when you trade-in your old stuff, like helmets, watches and eyewear. My bike helmet needs to be replaced, so I guess I'll see you guys there! Showing off my Spyder eyewear! Aside from their cool merchandise, you can also win some prizes! Register on their online blogging contest to win an all-expense paid outdoor adventure with P50,000 pocket money! You can also buy a copy of these participating magazines and get a coupon to win freebies! So what are you waiting for? Take charge of your summer! *This post is an entry to Spyder-charge your summer blogging contest. Nice... inspired me to get out! Agreed on this. You can stay indoors, and sweat 'till you drop on the treadmill, but nothing compares to the great outdoors -- the mud, dirt, wind that hits your face and the excitement of seeing new places. This summer it's certainly cool to stay outdoors! I love the idea..make me wanna go out and have an adrenalin rush! Very inspiring! I'll make the most out of this summer. made me so excited for summer! I want to go out and have hell of a fun! Agreed. They are all doable and inspiring! Awesome post and even more amazing pictures :) Bravo! Good luck Kimmy! Would love to score Spyder shades at a discounted price! Thank you for the comments everyone! Keep 'em coming!